The Alabama Department of Revenue website contains most of the forms that are necessary for License Office functions. If you need a form that is not listed on the website below, contact the License Office by email at license@tuscco.com or by phone at (205) 464-8233 for assistance. 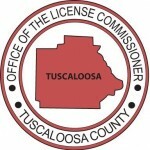 If you find any broken links in the Tuscaloosa County License Office website, please contact the License Office by email at license@tuscco.com or by phone at (205) 464-8233 to let us know so that we may correct them.